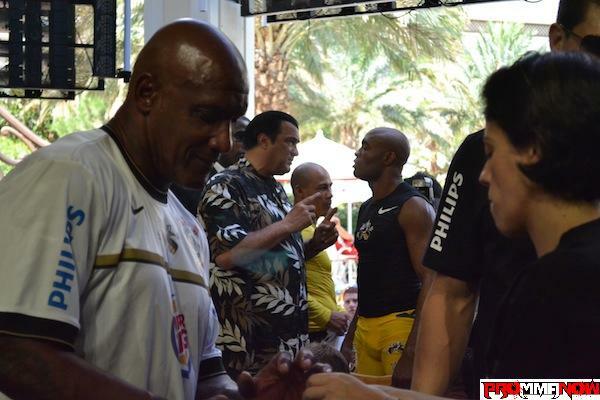 ProMMAnow.com (www.prommanow.com) was on scene at the UFC 148 open workouts in Las Vegas Thursday as UFC middleweight champion Anderson Silva made final preparations for Saturday’s main event rematch with number one 185-pound contender Chael P. Sonnen. 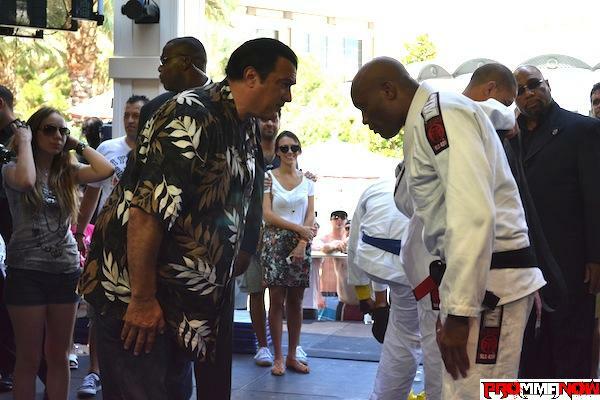 “The Spider” practiced his boxing, his Capoeira-style kicks and his jiu-jitsu. And guess who appeared out of the mist like a Sensei in the night? 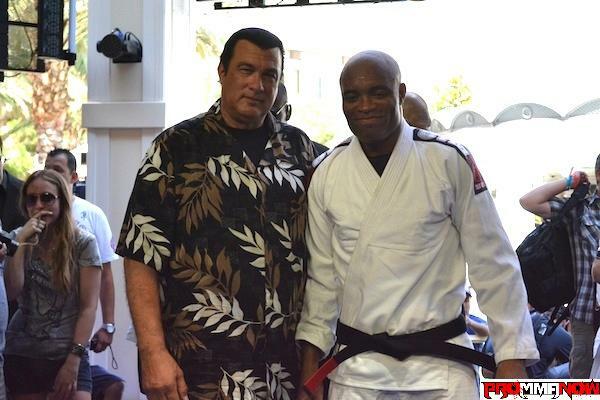 That’s right, everyone’s favorite Aikido master, lawman and B-movie actor, Steven Seagal — lookout! Sensei is not fighting Saturday, but that didn’t stop him for putting on a little demonstration of his own and showing even at 60-years-old he still has faster hands than your grandpa. Enjoy the flick. See more ProMMAnow.com coverage of UFC 148, and stay tuned for much more to come!